Observing trends can be a great way to decide what business to buy and, if that is the case, then a deli might be high on your list. Busier lifestyles mean that people want to buy ready-made meals and delis are a perfect place to get them. In 2016, Canadian delis sold $ 1.49billion of produce. Plant-based options are set to become more and more popular in Canada in 2018. Food trends suggest that aesthetics will carry on playing a role in people’s food choices- Instagrammable foods! Convivence food is a top priority for Canadians. Diverse flavours from interesting cultures and countries are also set to become popular in 2018. Another trend in Canada is for restaurants to focus on reducing waste. Opening a deli can be pricey if there is a lot of equipment that you need to install. Buying an existing one could help to reduce costs. 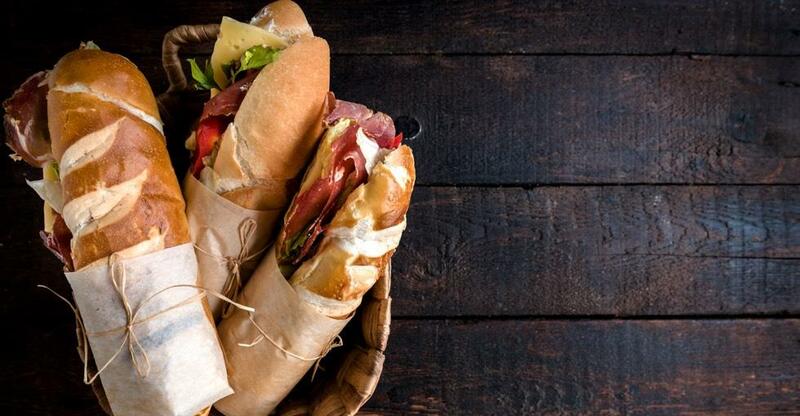 When you’re looking for the ideal deli to buy you’ll need to make sure that you’ve done your due diligence so that you know what it is that you’re getting if you buy the business. Remember that your deli will need to have refrigeration and food storage space so check what kind of costs that are going to pop up before you can open. Your location will be a huge determining factor when it comes to the success of your business. Think about the kind of deli that you want to open and how this fits with the demographics of people that work or live nearby. It is going to be a big advantage if there is already an established foot traffic that goes past your new business. If there are other businesses in the area, this can usually be a draw for new customers, however, you also want to make sure that they don’t offer too much competition. Consumer tastes are notoriously fickle; however, you can take advantage of this in order to increase the number of customers that you get. Having a focus on healthier options is a great way to stay relevant. It is important that you keep up to date with trends if you want to attract new customers and there are often new health trends for you to add to your menu to catch the eye of new customers. Social media loves pictures of food! Take advantage of this as a low-cost way to market your business and reach out to people who wouldn’t normally know about you. Canadians have a growing love for ready-to-eat food, especially 18 to 34-year-olds, and a deli is an ideal way to tap into this trend. Make sure that you have food that is easy to eat. The food is not the only thing to think about before you open. The deli business is also about people. Building good relationships with food vendors, staff and customers are going to be a big part of what will make your business a success. Before starting a deli you should consider how you are with people. Opening a deli is something that a lot of foodies fantasise about but there is more to it than just slinging cheese and meats. You will need to be able to know what kind of deli you are going to open (Italian? German? Modern? Traditional?) and then make food that fits with this in large quantities that is still great quality day after day. To make a deli successful, you are going to have to put in a lot of work and a lot of long hours, but you will have the chance to make great food for people the way that you want. If you’ve always wanted to venture into the food world, this is a business that will let you take advantage of food trends and make your mark in the business world in a relevant and growing sector. This is the kind of business that will give you a bit more informality than a restaurant and, with consumer prices rising, you should be able to offer lower prices than a sit-down restaurant. This creates a great starting point to get your deli buzzing with customers.